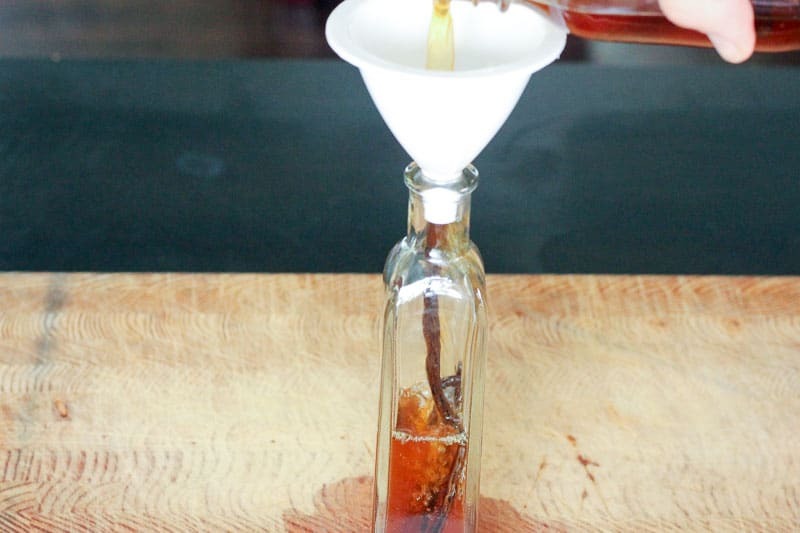 Learn how easy it is to make homemade vanilla extract. Store bought vanilla extract is SO expensive, but you can make your own in just a few minutes and save some money on your grocery bill! It makes a great gift too! I think it’s safe to say that vanilla extract is a staple ingredient for anyone who likes to bake. It adds a subtle warmth and sweetness that’s hard to come by any other way, and it seems like almost all baking recipes call for it, whether you’re making muffins, cookies, cake or cheesecake. 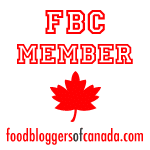 I used to buy my vanilla extract at Costco, where it was very reasonably priced – I think it was about $7.00 for a big 473mL bottle. A little over a year ago I went back to pick up some more and found that the price had exploded to $25.99 for a bottle! I checked a few other stores and found that tiny bottles were selling for more than $12! Guys, I was at Costco last weekend and almost fell over in the baking aisle when I saw the same bottle for sale for $38.99. How can any regular person afford to pay $40 for a bottle of vanilla?!?!?!? When I saw the initial price increase last year, I went home and did a bit of research. Seems that there has been a vanilla bean shortage in Madagascar for the past few years and it’s been exacerbated by a few different factors. The bottom line is, vanilla prices have skyrocketed and it seems unlikely they’ll go back down any time soon. I do have good news though. For whatever reason, the cost of a few vanilla beans locally has not gone crazy and it is super DUPER easy to make homemade vanilla extract. 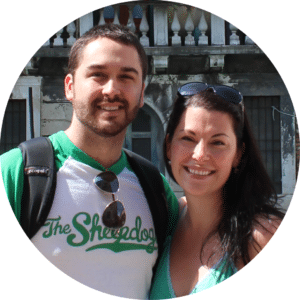 You know I love to save money on groceries, and this tip is a great one. Where I live, alcohol is pretty expensive. If you live somewhere like the US it will probably be cheaper, or if you’re travelling through a duty-free airport, or can buy grain alcohol at your local store, or even if you wait for a sale on vodka, those factors would all make your vanilla extract even cheaper. 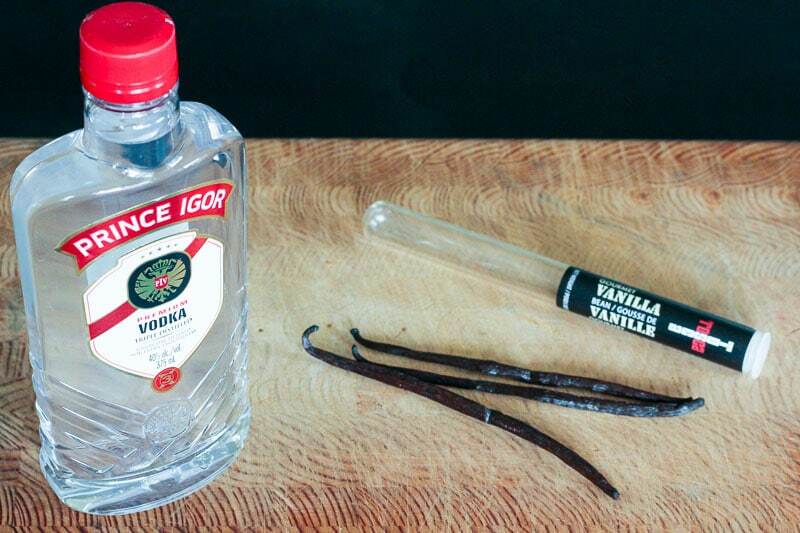 If you use a quart of vodka (750mL), even if you double the vanilla beans, the price goes down to $4.69/100mL). So you could either team up with a friend or make yourself two lovely jars to stash in your pantry! 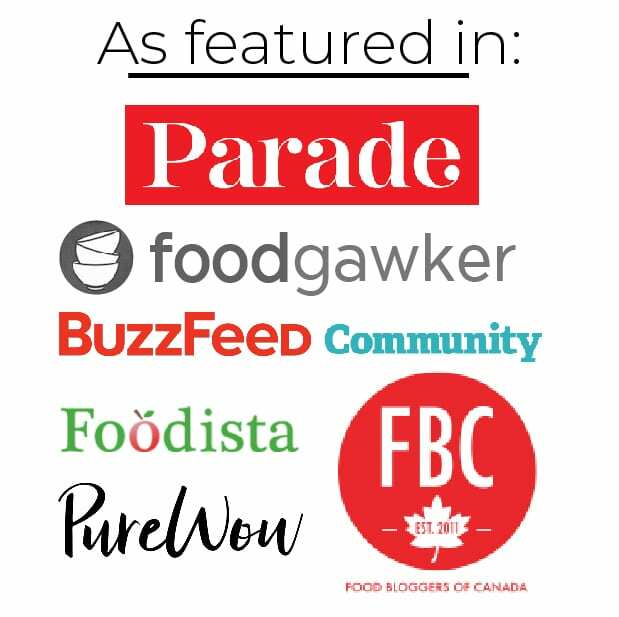 It only gets better (WAY better) with time! The larger the bottle of vodka is (where I live anyway), the cheaper it becomes over all, so go crazy. If you start this right now it will be ready for Christmas, and might I say that I think it would make a lovely gift? It tastes and smells delicious and I like that there are no weird additives. One final thought – and I haven’t actually tried this yet. I suspect that when your bottle is empty you could add fresh vodka to the leftover beans and start the process all over again. 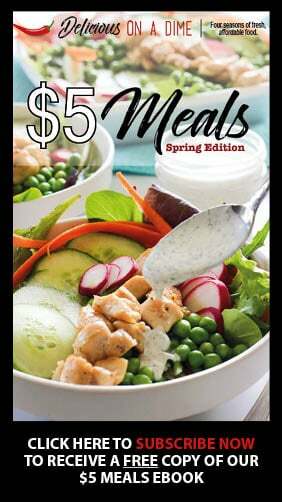 Might take a little longer, but still a great idea! 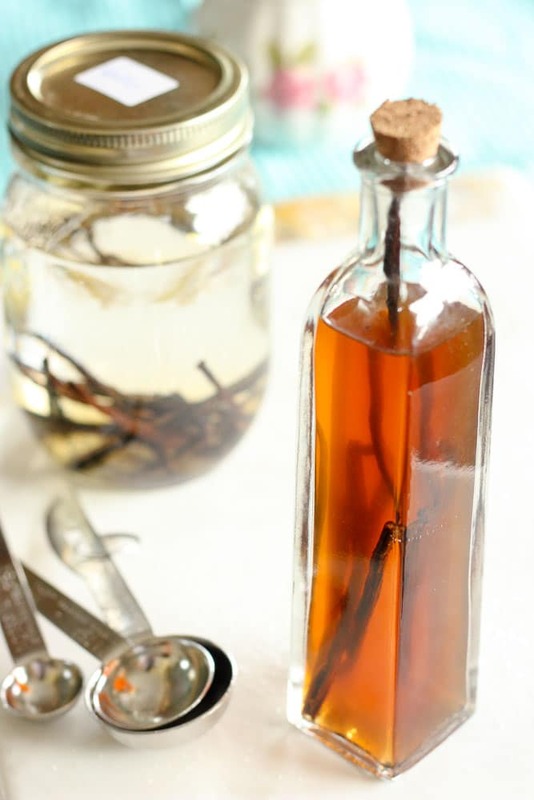 Learn how easy it is to make homemade vanilla extract. 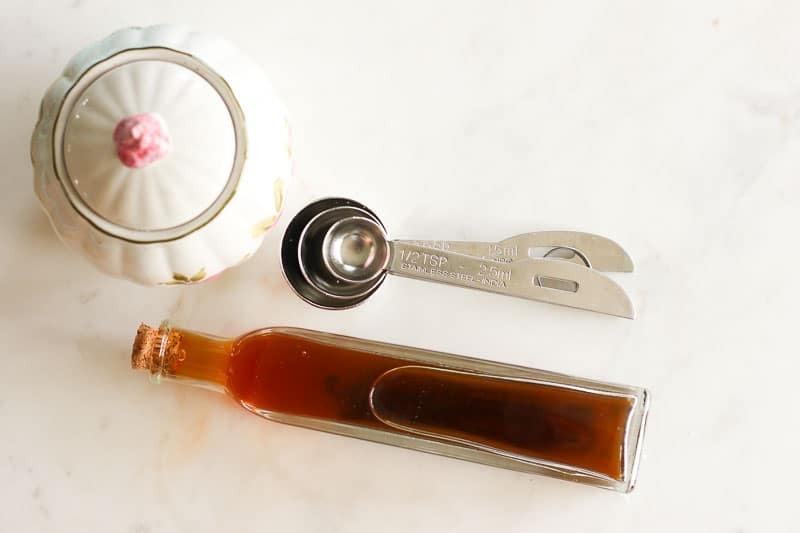 Store bought vanilla extract is SO expensive, but you can make your own in just a few minutes, for a few dollars! It makes a great gift too! Slice open the vanilla beans so that all the paste and seeds inside can mix with the vodka. I also cut mine in half and quarters. 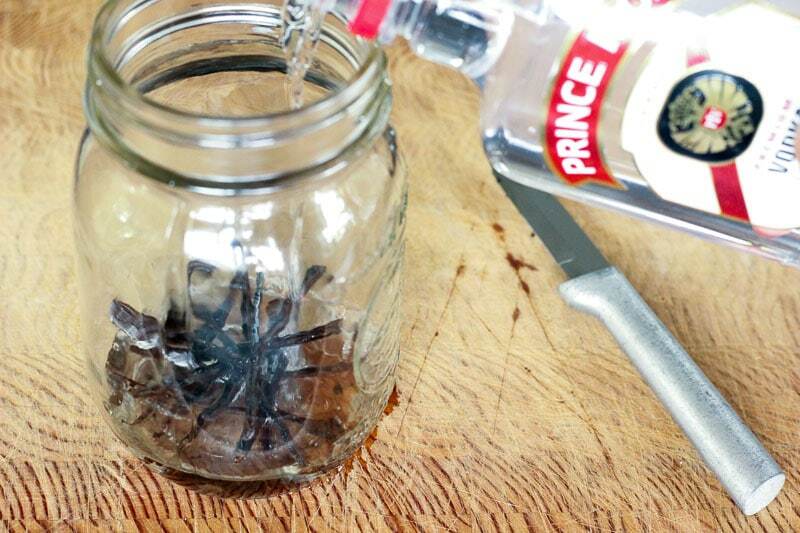 Add vanilla beans and vodka to a mason jar and close it up tightly. Store in a cool, dark place (like a cupboard) for around 2 months and give it a little shake every once in a while. After it's had time to steep it should be a deep amber colour and a lovely vanilla aroma. If you'd like to pour it into a pretty bottle go ahead. Slice open the vanilla beans so that all the lovely paste and seeds inside can mix with the vodka. I also cut mine in half and quarters. I used 3 beans but I think you could use fewer – you might just want to let it steep a little longer. After it’s had time to steep it should be a deep amber colour and a lovely vanilla aroma. If you’d like to pour it into a pretty bottle go ahead. 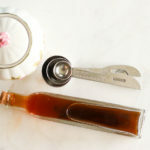 Use your homemade vanilla extract in baking, pancakes, or give it as gifts! Hope you enjoy it Reg! 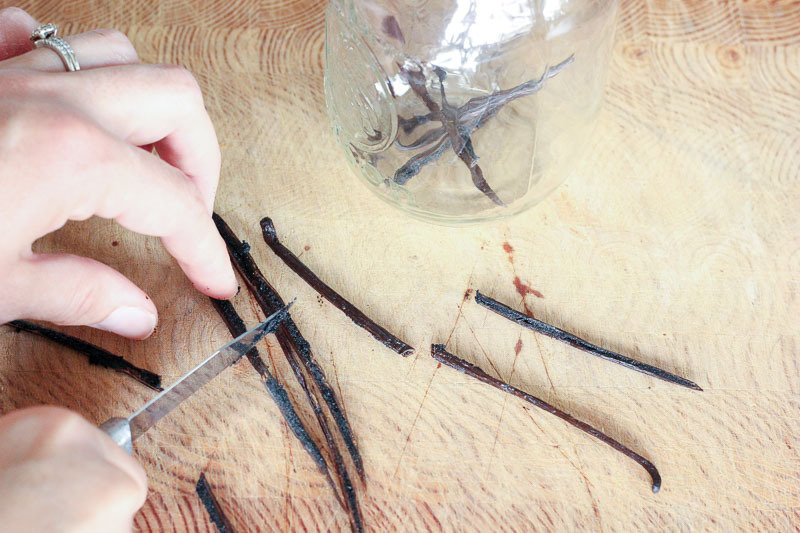 do you leave the vanilla bean in the new jar too…or should it be taken out after 2 months?